Is Your Office a Gossip Shop? Let’s face it – we all have our quirks. Part of working with others is the opportunity to develop collaborative working relationships. Other people’s habits and behaviors affect us when we are in a shared environment. In many instances, these are the people that we interact with for the majority of our days. As a natural result, friendships form as trust and respect are gained from our day-in and day-out interactions. You may have experienced this in your own company. And then, one day… BOOM! Like a bolt of lightening, an employee begins to engage in storytelling that looks and smells an awful lot like gossip. And with that bolt of lightening you have an out-of-control wildfire on your hands. It only takes one person to spark this type of destruction. Once one person speculates to another and then another, that speculation soon becomes a “fact,” and the object(s) of the gossip are in a position to defend the truth. This type of defensive space can shut down trust and, as a result, the creativity and collaboration that take so long to cultivate are lost. Gossip wars can emerge with retaliation, and the cycle of destruction keeps on going. So how can you protect your workplace from gossip? 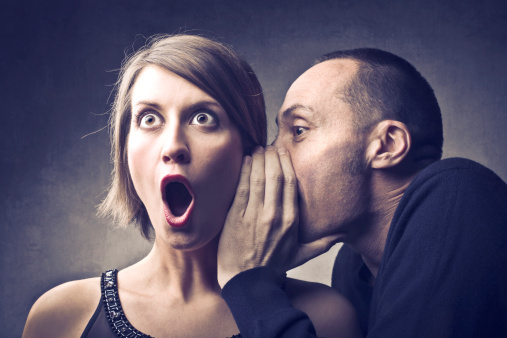 Here are a few tips to help you guide your employees in stamping out the gossip wildfire. If a conversation isn’t heading in a positive direction, encourage staff to change its course by politely changing the subject. It can be easy to say something that’s interesting – and upbeat – while also sending them a clear signal that you don’t want to talk about whatever you perceive to be gossip. Say something positive about the person who’s the target of gossip. No matter how negative a story about a person may seem, we rarely have all of the facts and there are likely positive qualities to that person. Remind people who are engaging in gossip that the person they’re talking about has done or said something praiseworthy by mentioning something specific that’s positive. Confront gossip politely yet firmly. Stand up to people who are gossiping by saying that you don’t want to know about the story they’re trying to tell you. Don’t hesitate to call out gossip when you hear it, but do so with grace. For example, you could say something like: “That sounds like it is none of my business, so I don’t really want to hear any more. Let’s just drop it.” Encourage your employees to hold others accountable for their choice of words. If all else fails, ask questions that point out gaps in a story, such as specific times and places of events that supposedly happened. Challenge gossiping people to tell you how they personally verified the information they’re spreading about others. Help them see that just because they heard a story doesn’t mean it’s true – and even if it is, they can’t possibly have an accurate perspective on the situation. Making it clear to your staff that gossip will not be tolerated. Eliminating gossip in the workplace will perpetuate an ongoing culture of kindness and respect. This entry was posted in Fun Stuff, Tips & Tricks on July 5, 2016 by Shawn Nag.